David Lee Myers finds his sounds in the off-screen space of feedback networks. By patching the output of an electronic audio device, such as a mixing board, back into its input, Myers is able to conjure and navigate within this space… He takes snapshots of the sonic entities populating these spaces then arranges them into etheric photo-mosaics. 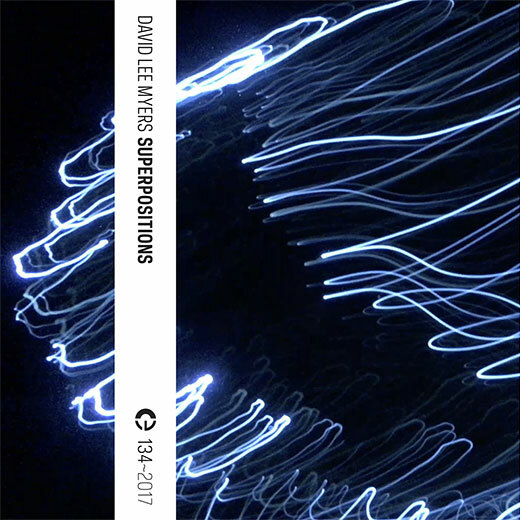 Superpositions is available as a limited-release tape and as a digital download. This entry was posted in Releases and tagged 134, David Lee Myers. Bookmark the permalink. Comments are closed, but you can leave a trackback: Trackback URL.